Whether it’s all-year-long warm and sunny beaches or mountain tops covered with white snow, whatever weather you’re looking for in Egypt, you’ll find it somewhere across the country. While Cairenes have been complaining about the cold weather this week, Saint Catherine has turned into a majestic movie scene. 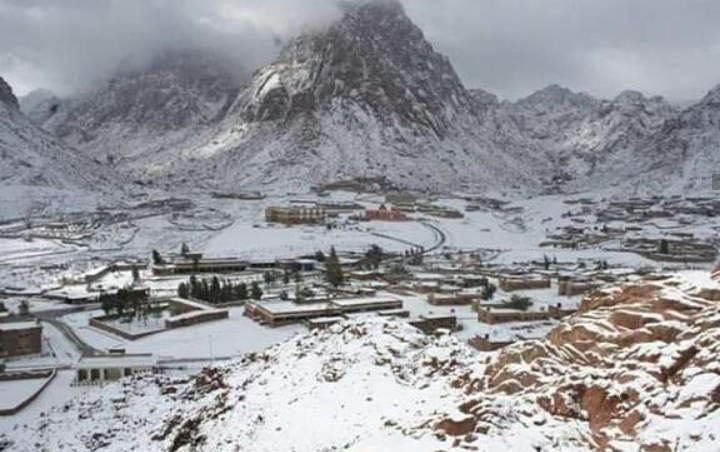 The South Sinai city recorded yesterday the lowest temperature across the country at -4 degrees Celsius. The ancient touristic sit is currently covered in inches of snow. 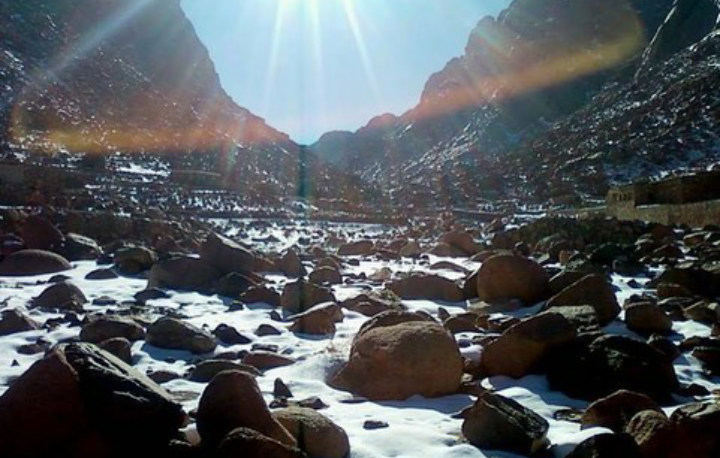 Geologist Mohamed Qutb, Director-General of the South Sinai Protected Areas, told Al-Ahram Arabic news website that melting snow accumulates this time of the year. The water also seeps into the ground and feeds underground reservoirs on which the city relies heavily on, as well as feeding agriculture and providing drinking water. This weather is common for Saint Catherine’s in the winter, which helps raise tourism for winter activities.